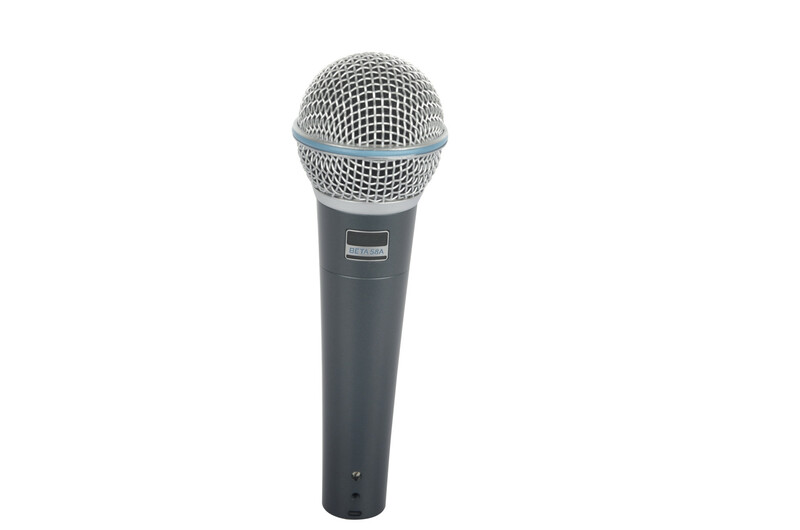 The Beta 58A is a high-output supercardioid dynamic vocal microphone designed for professional sound reinforcement and project studio recording. 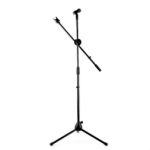 It has become a leading choice among touring professionals and vocalists worldwide. 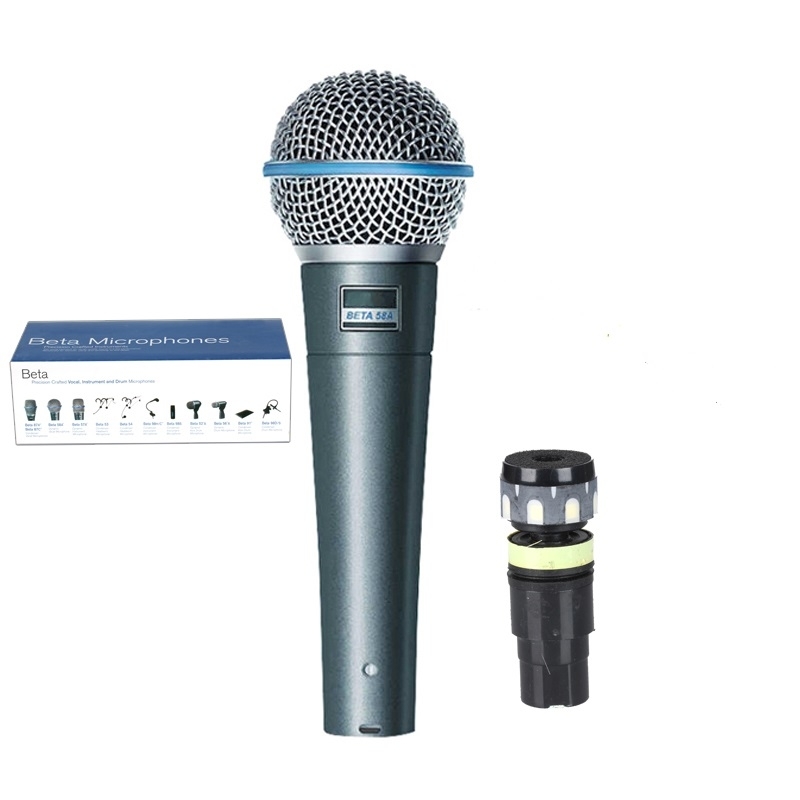 The BETA 58A has become the top choice among vocalists of touring sound professionals worldwide. 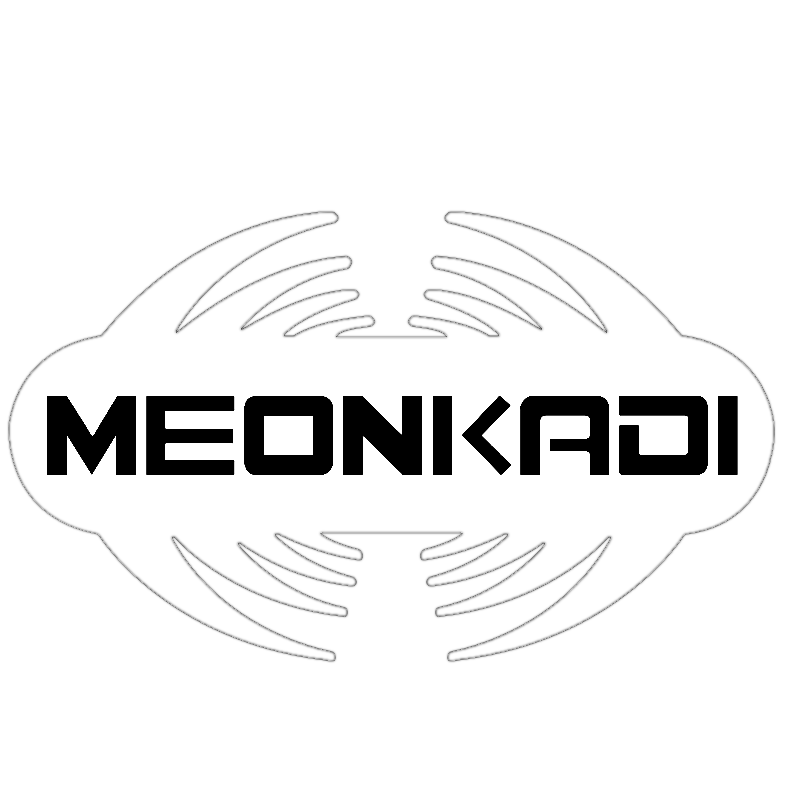 Its consistent supercardioid pattern gives the best gain before feedback among dynamic microphones. 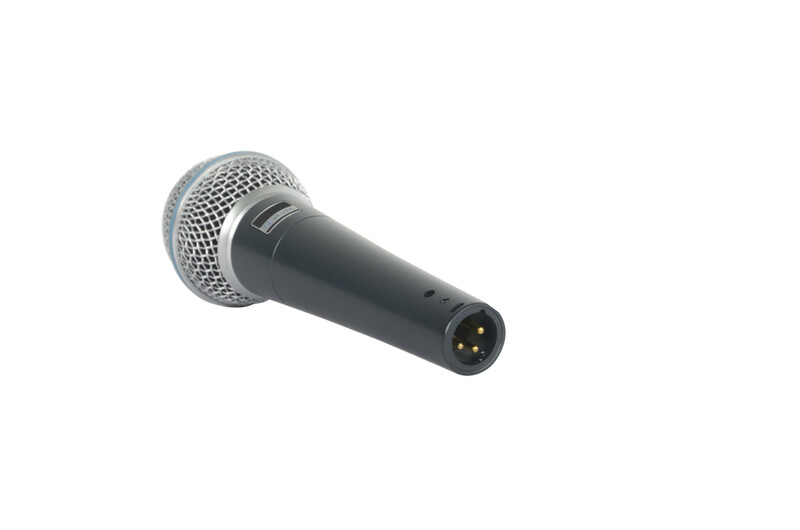 The shock mount system keeps handling noise to a minimum, and its durability continues to make it one of the most rugged microphones in the live sound business. Supercardioid dynamic. Frequency response: 50-16,000 Hz. Net weight: 1-1/2 lb. 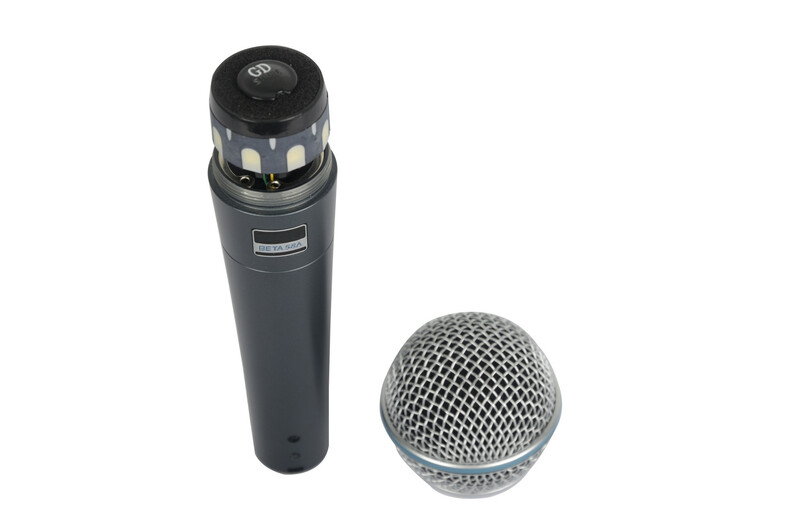 The BETA 58A is designed for close-up vocals, and can be handheld or mounted on a stand. 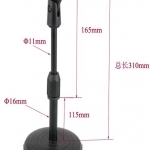 Specifications: • Type: Dynamic (moving coil) • Polar Pattern: Supercardioid, rotationally symmetrical about microphone axis, uniform with frequency. 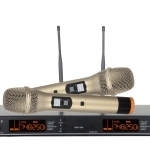 • Output Level: (at 1,000 Hz) • Open Circuit Voltage: -51.5 dBV/Pa* (2.6 mV) *1 Pa = 94 dB SPL • Impedance: Rated impedance is 150 ohms (290 ohms actual) for connection to microphone inputs rated low Z Phasing. 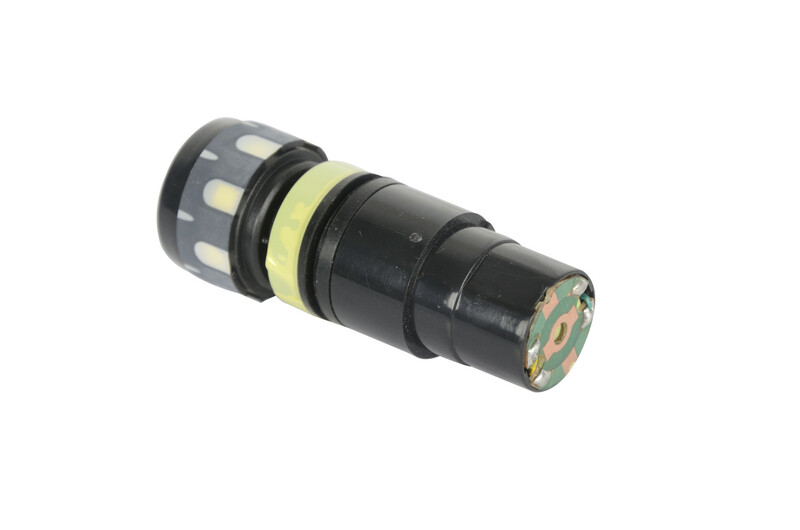 Positive pressure on diaphragm produces positive voltage on pin 2 with respect to pin 3. • Case: Silver blue enamel-painted die cast metal with hardened, matte-finished, spherical steel mesh grill. 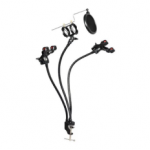 • Adjustable, Stand Adapter: Slip-in microphone mounting, unbreakable, adjustable through 180 degrees with standard 5/8"-27 thread, black finish. • Dimensions: See User Guide.